the Festival of Bright Ideas. Expect the unexpected! Prepare to be engaged in hands-on science activities, performances,workshops, experiments, conversations and more, all under one roof at Princes Wharf 1. A free event for the whole family. Ruben is a surfer with a physics degree and a passion for all things scientific. He appears on ABC Television’s flagship science program, Catalyst and was the first resident scientist on Play School. 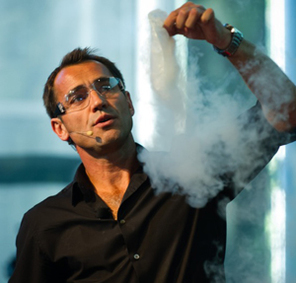 He speaks at conferences, MC’s events, visits primary and high schools, publishes resources for teachers and writes children’s books full of experiments. He has appeared on Studio 3, Sleek Geeks, Roller Coaster, Triple J’s Super Request, ABC Local Radio, Can We Help, Sunrise, Today and Mornings with Kerri-Anne. After discovering that men walked on the Moon in the 1960s and 1970s, Amy set out trying to understand how and why that happened. 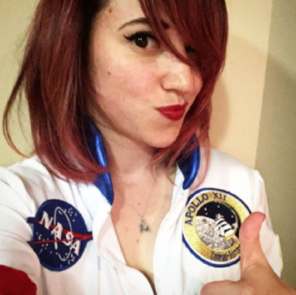 Her childhood curiosity gave way to an adult profession as a spaceflight historian, because the more you try to understand the Moon landing the more complicated the answer gets. Amy now shares her enthusiasm and curiosity as the blogger and vlogger behind Vintage Space. She has written for more than two dozen websites and print outlets, appeared in more than half a dozen TV series, and her first book, Breaking the Chains of Gravity, is out now. Jeremy is a Hobart based science communicator who enjoys nothing more than entertaining people with science. Currently right in the middle of a chemistry PhD, Jeremy still finds time for science outreach and engagement all over Tasmania. 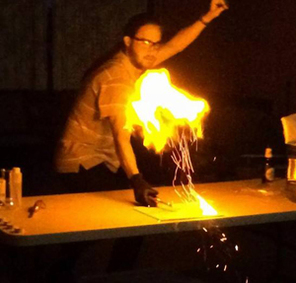 He is a mentor for the Young Tassie Scientists program, hosts National Science Week quiz nights, and performs exciting science shows for schools and communities across Australia. The very first Festival of Bright Ideas attracted over 5,000 visitors in 2015 presenting a diverse program of hands-on activities, science entertainment, and celebrity speakers. Visitors mingled with scientists and science communicators as they showcased Tasmania's innovative and exciting science sector. Located at Princes Wharf 1, the festival attracted interstate presenters, including Future Crunch and Mars One candidate Josh Richards. See the science Tasmania showcased for the Festival of Bright Ideas in the short film below. Click HERE for the full program of Science Experiences.